Description: Brand New In The Box, Ready To Ship!! The Savage 11 Trophy Hunter package is just what you need to put that trophy on the wall or meat in the freezer next season. 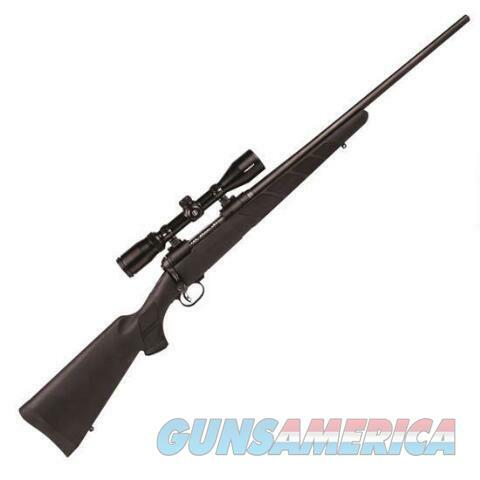 The Savage Model 11 is a superbly accurate, rugged and reliable bolt action rifle. It features the user-adjustable Savage AccuTrigger, all-weather synthetic stock and a detachable box magazine. The Hunter package includes a mounted and bore sighted Bushnell Trophy 3-9x40 scope with DOA 600 scope reticle, Weaver bases and rings, and a scope cover.